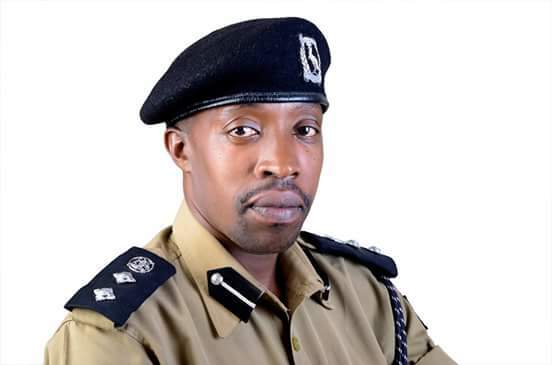 SSP Emilian Kayima's statement released today. 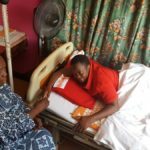 Following industrial action by medics around the country, police doctors have joined their Uganda Peoples Defence Forces (UPDF) and Uganda Prisons Services (UPS) colleagues to treat the sick. The Inspector General of Police Gen. kale Kayihura on Friday gave directives to the Director Uganda Police Health Services to support the ministry alongside the others that are supporting the ministry to with, the UPDF and UPS,’ police spokesperson Senior Superintendent of Police Emilian Kayima wrote in a release issued today. 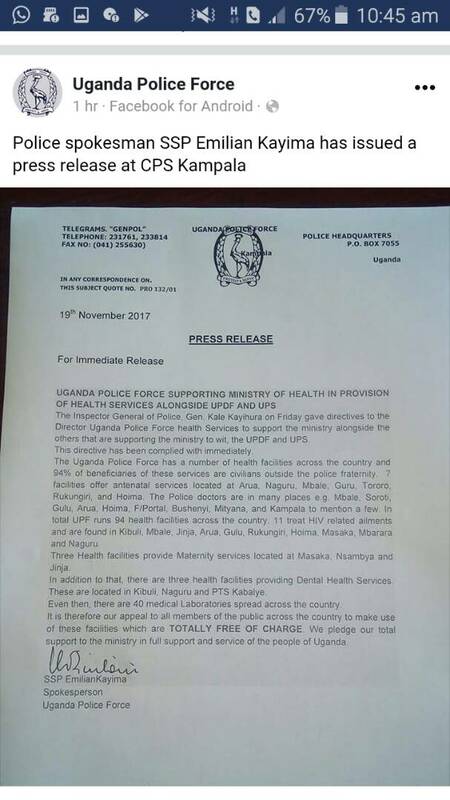 According to SSP Kayima, the police force has 94 health centres across the country, which are currently offering maternal, dental and general health care treatment to civilians, ‘totally free of charge’. Two weeks ago doctors went on strike, demanding better pay and an improvement of their working conditions. 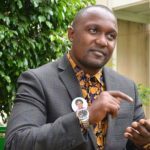 Since then there have been various engagements between government officials and the striking doctors led by Uganda Medical Association (UMA) chairperson Dr. Ekwaro Obuku, aimed at ending the strike to no avail. 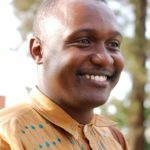 In the ensuing period the standoff prompted President Yoweri Museveni to threaten sacking the doctors, but that too has not done much to make them return to work. The doctors’ strike comes at a time when other public sector workers like State Attorneys and Prosecutors are also on strike, demanding better working conditions.